Note: Business Insider asked me to round up my favorite luxury hotels that I’ve personally stayed in or visited. 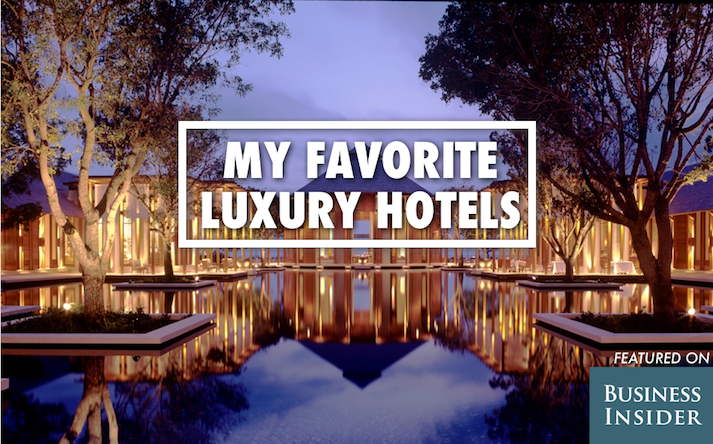 Needless to say, it was a fun assignment reminiscing on all of the amazing places I’ve been lucky enough to experience — places that would certainly rank among the world’s best luxury hotels. They asked that I exclude the larger, well known luxury brands to show that there are plenty of options out there — including smaller, family owned operations. Personally, I love explore both the well-known brands (I would include Four Season’s property in Maui which I’ve stayed in and loved on this list) as well as smaller, boutique hotels as they both have their own unique draws. So, as the article below suggests, consider all your options and choose whichever best suits you style. Trevor Morrow explores the world and writes about his travel experiences for his blog, Trevor Morrow Travel. While the Four Seasons and The Ritz Carlton are great accommodations, the hotel brands aren’t located in every destination. Here, Morrow rounds up his seven favorite Four Seasons and Ritz Carlton alternatives — all of which are one-of-a-kind, luxurious, boutique hotels — and tells you why they should be on your travel bucket list. When it comes to planning a luxury vacation, whether it’s a honeymoon, a celebration, or that’s just how you roll, it’s easy to think first of the large, luxury hotel brands you’re familiar with and the destinations in which they have properties. You wouldn’t be wrong to consider brands like The Ritz Carlton or Four Seasons, which have many stunning properties around the world, provide excellent service, and exclusive experiences (like learning beach volleyball from a two-time Olympic gold medalist at Four Seasons Santa Barbara or practicing Muay Thai with a pro and an ocean view at Four Seasons Koh Samui). I’m simply here to remind you to consider all your options — whether in the same destination as your initial go-to hotel or in a destination you haven’t yet considered. Why? Because there are many one-of-a-kind, smaller, luxury, boutique hotels out there that deserve your attention too. I know because I’m a travel writer who has been lucky enough to experience several such places. And while my luxury, boutique hotels bucket list is still a mile long, here are some of the best I’ve visited so far that you should know about. Don’t call Eleven Experience’s Deplar Farm a hotel. That term would be too impersonal. Just like the private company’s other remote, adventure-centric hideaways, staying at Deplar Farm is more like staying in a friend’s home (if that friend employed a full staff, thought through every last detail, and had impeccable taste). I ventured here, to this distant valley in the county’s north, for three reasons: to feel truly far, far away, to get off Iceland’s well-worn tourist track, and to go heli-skiing in the surrounding mountains. 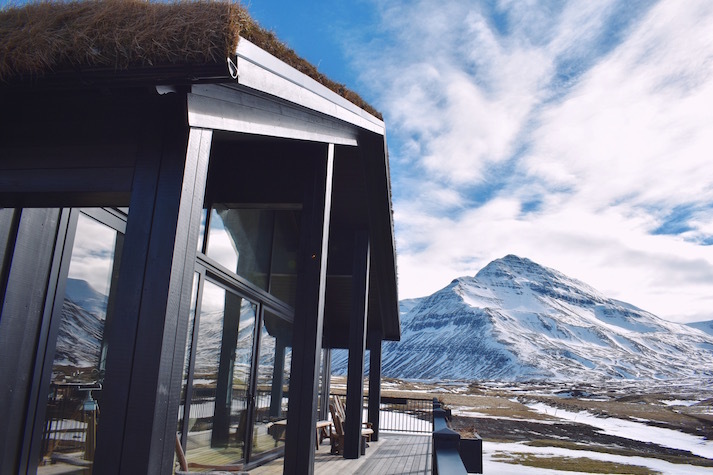 Having been, I can say with certainty that you will feel like you’re living in a fairy tale, you will take home memories and photos almost no other traveler to Iceland has, and there will be plenty of over-the-top adventures. 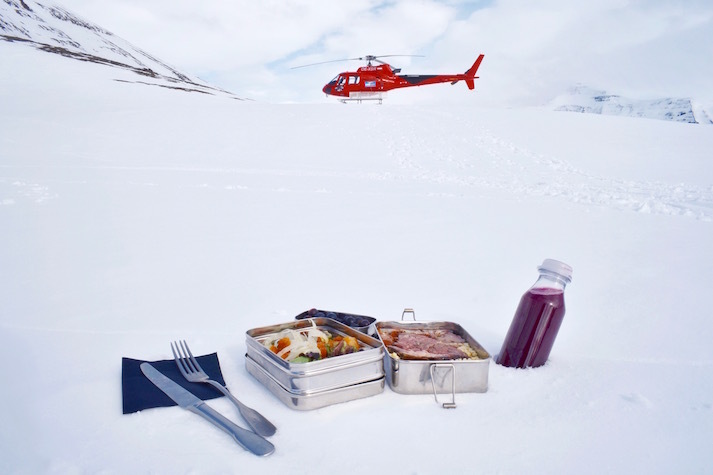 Deplar Farm has its own helicopters and resident expert guides to take guests skiing, fly fishing, and more. One of the first things I noticed upon arriving at Deplar Farm were the helicopters parked on the front lawn. During my winter visit, we used them to land on nearby mountaintops and ski virgin terrain (no chairlifts needed), but they can also be used throughout the year to fly guests to remote fishing steams or to hidden hot springs. And while there are endless activities to take part in nearby, be sure to budget time to simply relax and enjoy the property itself, from the comfortable great room with its fireplace and full bar, to the well-appointed bedrooms complete with steam showers, to the sleek lower level featuring a spa, fitness facilities, and indoor and outdoor pool with swim-up bar. When it comes to truly remote places, chances are you won’t find any of the big hotel brands you’re familiar with. Why? Because the more remote, the more difficult and expensive it is to build and operate a hotel — especially an ultraluxury one. Thankfully, this challenge didn’t stop the pioneering souls behind Pikaia Lodge, who built from scratch the Galapagos Archipelago’s first and only true 5-star hotel. 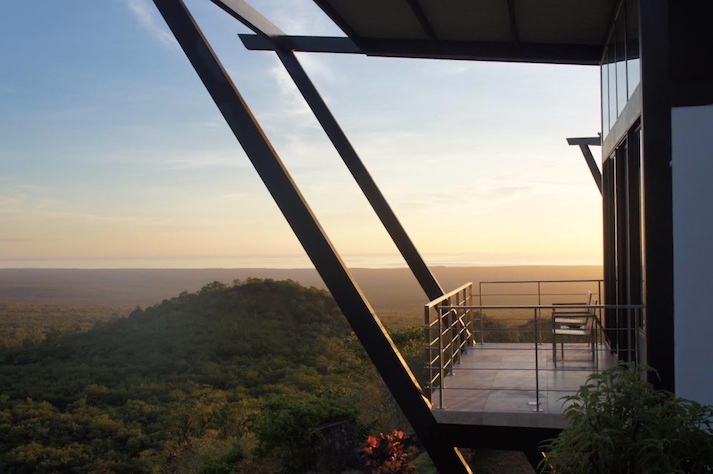 Perched atop an extinct volcano with expansive and inspiring 360-degree views, the 14-room property features a beautiful infinity-edge pool, a stunning spa, and a gourmet restaurant. Between the mountaintop lodge and private yacht, Pikaia Lodge seamlessly takes guest from land to sea in style and comfort. 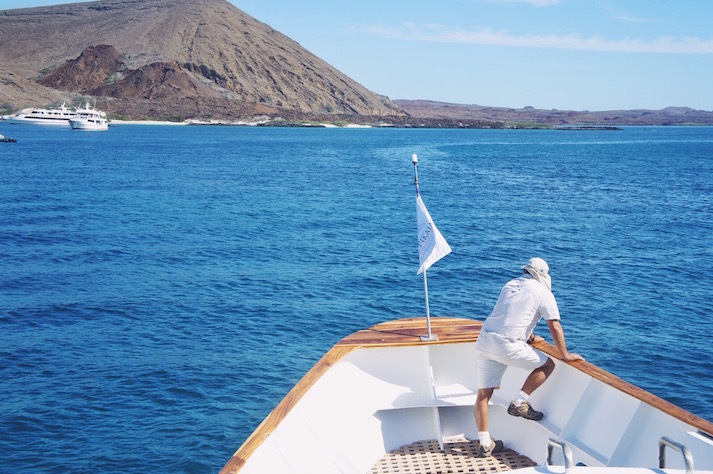 The thrill of staying at Pikaia Lodge doesn’t stop on land, as they’re the only hotel in the Galapagos with their very own yacht for sea-bound adventures. This means, instead of spending your entire trip on a large boat (like many trips to the Galapagos entail) or with a large group on a day-tour boat, you’ll spend your evenings in the privacy and comfort of the lodge and be shuttled to the yacht for intimate, daytime adventures. On the yacht, you’ll be accompanied by a very small handful of other Pikaia guests and some of the best naturalist guides in the Galapagos. It is, without a doubt, the most luxurious way to experience one of the word’s most fascinating and fabled natural environments. Visiting Western Montana is like stepping back in time: the land is ancient, the night sky is darker, and the silence is deeper. 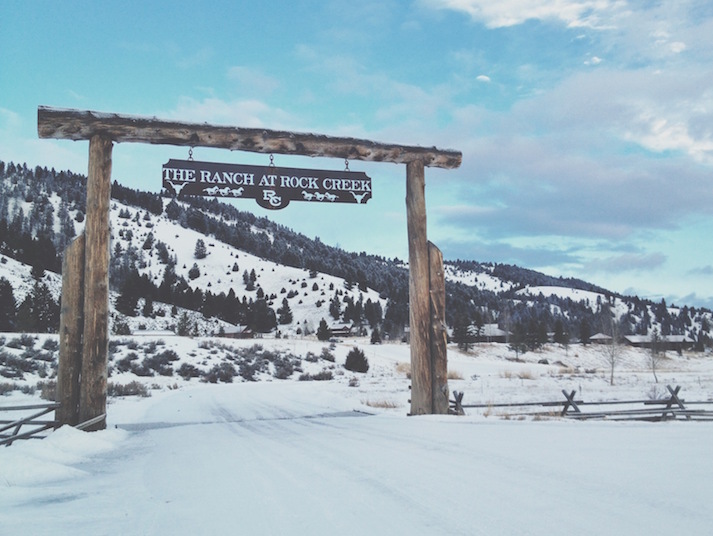 To experience this raw American wild without sacrificing a single creature comfort, I stayed at The Ranch at Rock Creek. The 6,600-acre property has a Forbes 5-star rating and has been designated one of National Geographic Unique Lodges of the World, a combination of accolades no other luxury ranch can claim. Staying here, in this rugged yet refined environment, is sort of like taking the American version of a high-end African safari, in that there is a certain romance to the whole experience that’s hard to describe but wonderful to feel. 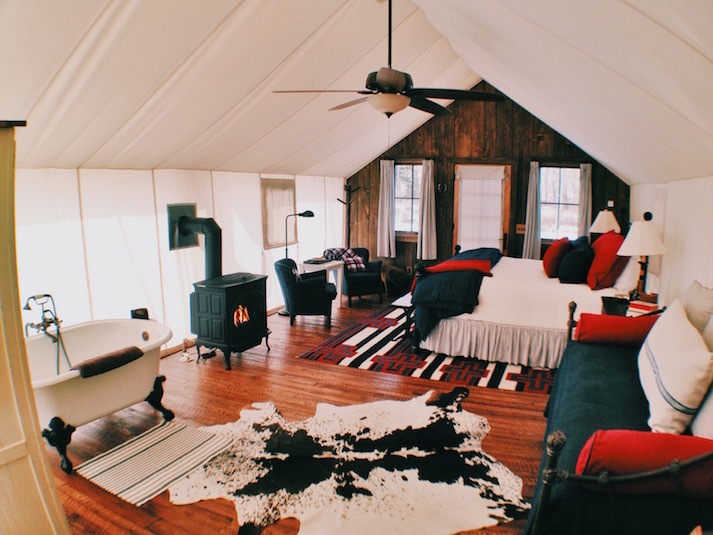 The Ranch at Rock Creek’s canvas cabins are the pinnacle of glamping in America. From the nine hotel-style rooms in the main lodge, to the seven cabin-style luxury homes, to an immaculately restored 19th century barn with a romantic loft suite, The Ranch at Rock Creek has accommodations to suit every travelers’ tastes and needs. But for a more out-of-the-ordinary stay, choose one of Rock Creek’s glamping cabins. These stylish, well-appointed canvas cabins are unrivaled and offer what I believe to be America’s premier glamping experience. In addition to an Insta-worthy abode, you can expect genuinely warm and down-to-earth hospitality from the entire staff, plenty of gourmet, ranch-inspired food, and endless activities, regardless of the season. I can attest: the Amalfi Coast is so heart-achingly beautiful, it’s easy to think you’re dreaming even after waking up. Here, there are no big, luxury hotel brands, or any hotel brands you’ll recognize for that matter, so you’ll need to branch out. 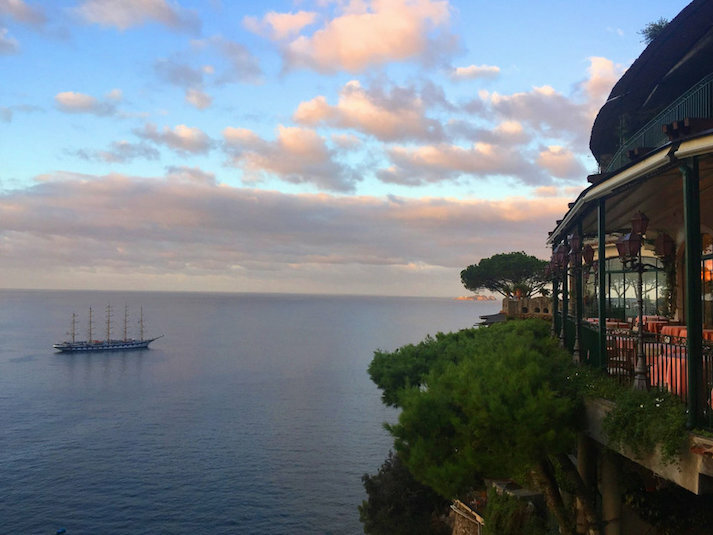 To best experience the grandeur of this place, stay at Il San Pietro di Positano, a legendary hotel that so organically clings to the cliffs above the Tyrrhenian Sea it’s as if it grew here naturally. Featuring unrivaled views of nearby Positano, a colorful hillside village, the hotel also boasts a large property with private beach and its own classic, 44-foot yacht for jaunts offshore. Il San Pietro is family owned an operated, and staying here is like being invited into a private, seaside home. 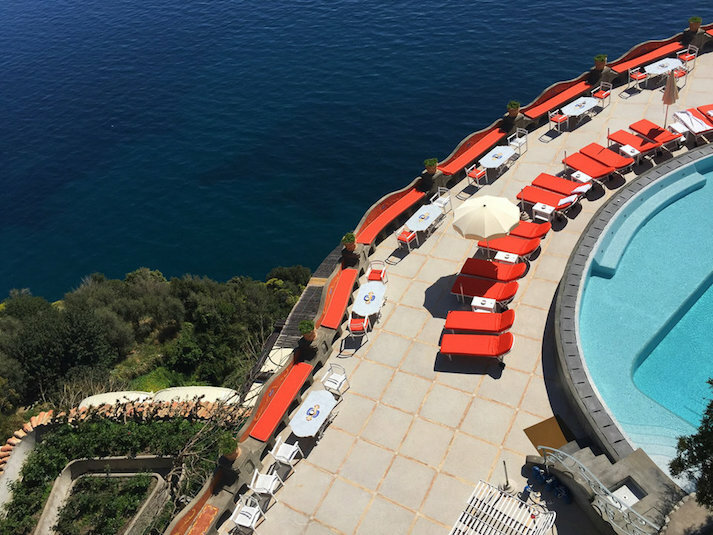 There is a charm and warmth to Il San Pietro that can only be attributed to the hotel being family owned and operated by the same family since it opened nearly 50 years ago. Homey touches include bedrooms that are all unique, indoor and outdoor common spaces that are manicured yet maintain their character, and large gardens from which fresh fruits, vegetables and herbs are harvested for use in the hotel’s two restaurants. And speaking of the restaurants, don’t miss a meal at Il San Pietro’s Michelin starred, Zass, or a seaside meal at Carlino, a beachy hangout so picture perfect you’ll think you’re in a movie. Aspen has a reputation for being America’s most luxurious mountain town. While it has the glitz, it’s also surrounded by serious nature, which allows for world-class skiing in the winter and biking and hiking, among other activities, during warmer months. Various adventures have brought me to Aspen during different seasons, and after one long, two-night backpacking trip in the nearby Maroon Bells-Snowmass Wilderness, I spent a night at Hotel Jerome to relax and recover in one of their spacious rooms and comfortable king beds. Even had I not come from sleeping on the ground the two nights prior, I’d still call my Junior Suite one of the best appointed hotel rooms I’ve stayed in. 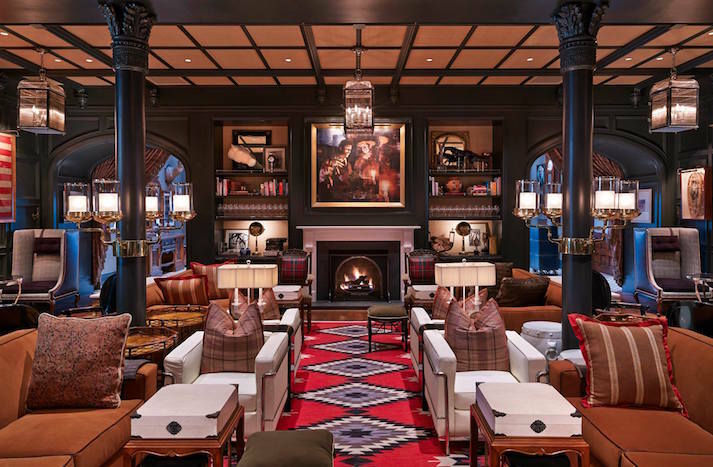 Hotel Jerome exemplifies Aspen’s laid-back luxury vibe, and is one of the most stylish hotels I’ve ever stepped foot in. 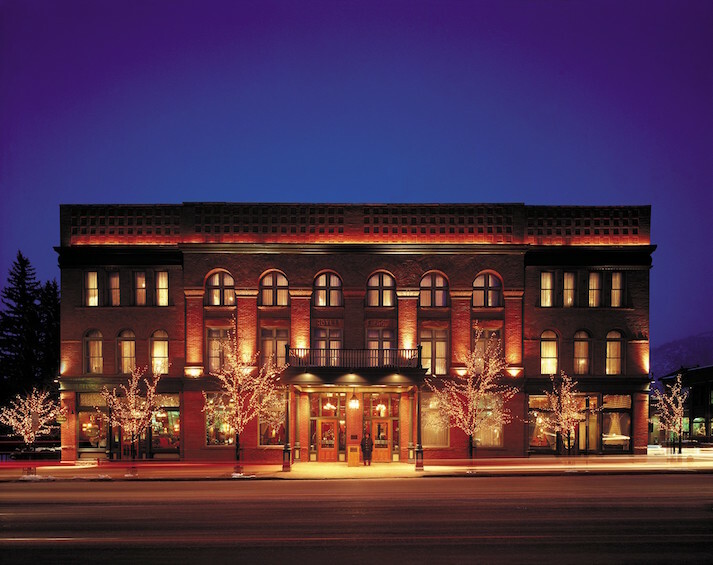 Aspen certainly has a handful of high end hotels, but whenever I’m in town, I always pay Hotel Jerome a visit, whether I’m spending the night there or not. My go-to move is a cocktail in The Living Room, a lounge with an uber-stylized hunting lodge motif, followed by a burger and Aspen Crud (a vanilla milkshake spiked with bourbon) at J-Bar, the hotel’s relaxed pub, and one-upon-a-time Hunter S. Thompson hangout. For more of a splurge, the hotel’s fine dining restaurant, Prospect doesn’t disappoint. 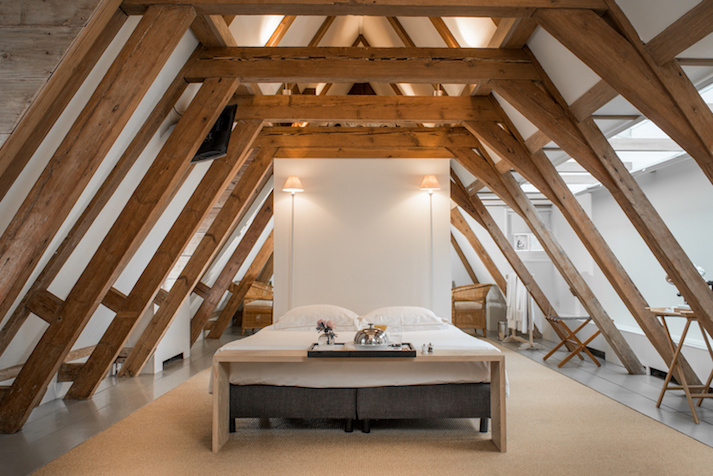 Like any top European city, Amsterdam has its share of luxury hotels. And while there’s a Waldorf Astoria and an InterContinental, you won’t find any of the other large, luxury hotel brands here. In Amsterdam, it’s all about boutique hotels — the best of which is The Dylan. Located in “The 9 Streets,” a posh neighborhood full of vintage and designer boutiques, The Dylan is housed in a historic, 17th century building and located within walking distance to all the city’s famous sights (one of primary reasons I chose to stay here). While its bones are hundreds of years old, inside, much of the hotel oozes a high-fashion sensibility and more modern stylings. Even the food at The Dylan is magazine-ready and perfectly styled. The canal-front hotel features a variety of room styles, from cozy suites tucked away in the building’s nooks and crannies to sleek and modern rooms with views over the UNESCO World Heritage site-designated Keizersgracht canal. But in addition to being an acclaimed place to rest your head, The Dylan is also one of Amsterdam’s top dining destinations with its Michelin-starred restaurant, Vinkles. 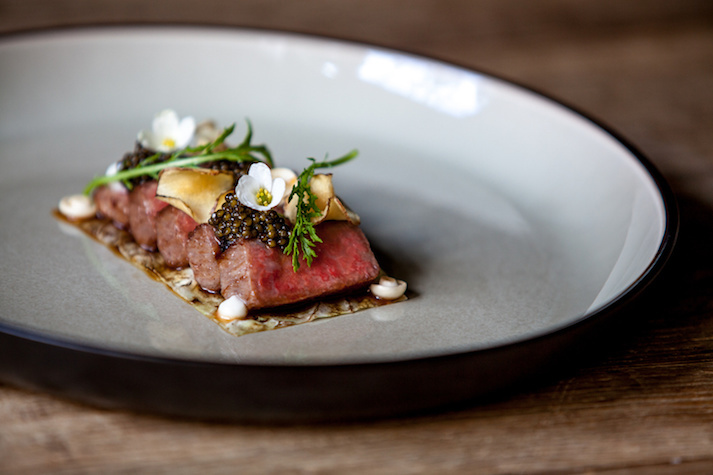 Here, chef Dennis Kuipers serves what he calls “modern French cuisine with international twists” and prepares it all so beautifully it could be mistaken for art. Seasoned luxury travelers with a good travel agent are likely acquainted with Aman and their slowly expanding portfolio of thoughtful, ultraluxe properties around the world. 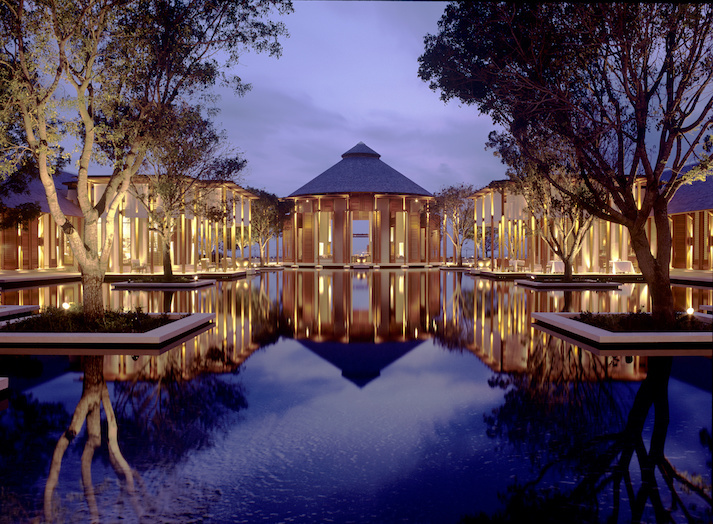 However, it’s time the new luxury jet set get to know Aman too. While the majority of their properties are found throughout Asia, there are also a handful in Europe (most notably: Aman Sveti Stefan in Montenegro) and the Americas (most notably: Amangiri in Utah). 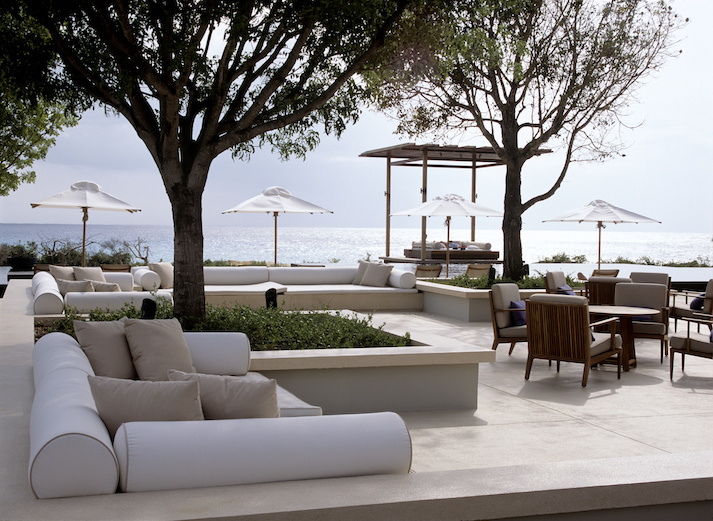 My first experience with the brand came several years ago when I visited and toured (but did not spend the night at) Amanyara, one of Aman’s flagship properties located along a rugged shoreline on a remote corner of the Turks and Caicos islands. No one knows how to create atmosphere like Aman. No one. Comprising freestanding ethereal pavilions spread throughout the property, Amanyara’s architecture, landscape design, interior design, and interior and exterior lighting design all come together to create an atmosphere that is so serene, mesmerizing, and relaxing it’s almost hypnotic. They are masters at creating atmosphere and their ability to do so is a signature of the brand. As a result, Amanyara remains the most sensory hotel experience I have had, and I was only there for a few hours. This ability to make guests feel something in their bones and remember it for years is special, and something not always found when staying with big luxury hotel brands.